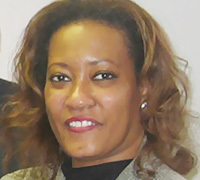 Jeannine B. Scott is the President of the U.S. – Angola Chamber of Commerce and Founder & Principal of America to Africa Consulting (A2A), LLC. A seasoned professional in the field of humanitarian and economic development work, Ms. Scott brings nearly 30 years of experience in the field of international development, spanning the private, non-profit, multi-lateral agency and US Government sectors, both domestically and globally. Notable among her earlier career has been service as the Senior Vice President of Africare, one of the largest and oldest non-profits focusing on Africa; and an earlier appointment for the U.S. Department of Treasury under the Clinton Administration, as Advisor and Alternate U.S. Executive Director to the African Development Bank Group (AfDB,), the largest financial institution on the African continent. Ms. Scott graduated from Vassar College and holds an M.A. degree from Yale University where she serves on the alumni association’s board of governors.